The Extra 300S has won the World Aerobatic Championship many times. The full size version flies aerobatics at 300km/h. 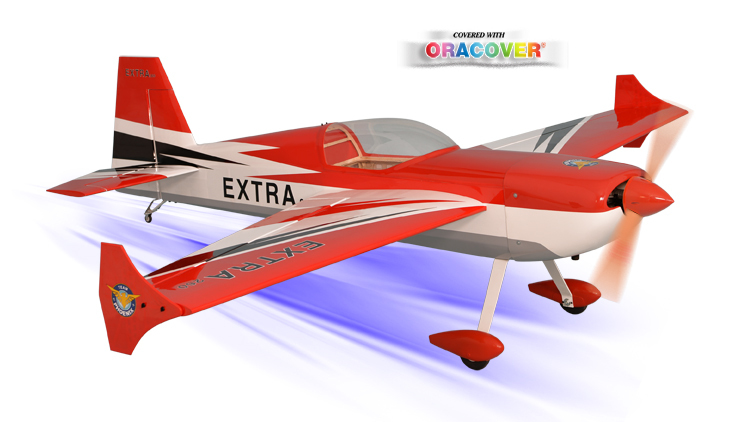 Phoenix’s Extra is naturally slower but is engineered to perform equally thrilling maneuvers! 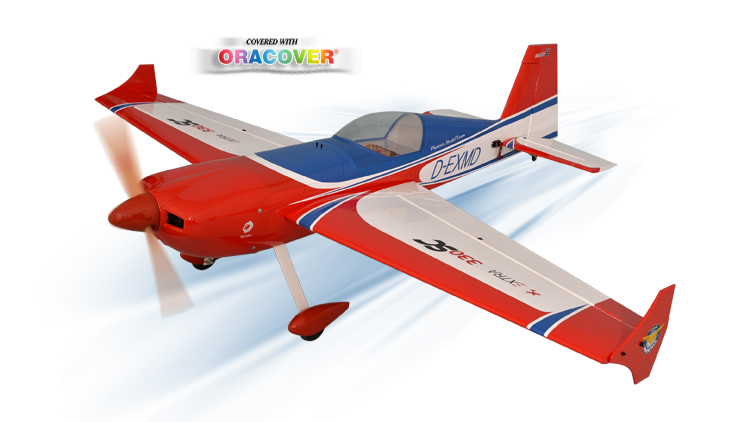 scale-like model able to perform flat spin, knife edge and many other difficult aerobatics. 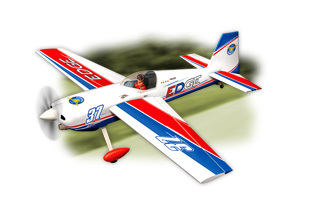 The Extra 300S is expertly handcrafted from balsa and plywood using only epoxy and CA glues. You can fly this plane after few hours of installation. All the hardware are included (servo wire, fuel tank, wheel/landing gear, etc). You only need to separately purchase the nitro engine and radio system. Part of a new generation of acrobatic aircraft from the Yakovlev design bureau who have a long line of aircraft designs started in 1937 with UT-2/AIR-10. It is a development of the single-seat Yak-55M, designed by Chief Constructor Dmitry Drach and Lead Engineer Vladimir Popov it first flew 23 December 1993. A beautifully hand-built scale kit with muscular performance. Features light-weight all balsa construction, Oracover® covering, fiberglass cowl. The basic plane is lighter, the chassis has been redesigned to prevent movement and flex. The Yak 54 is very responsive and very quick to follow inputs for the pilot. As with the plane comes complete with full accessories. It is completely built, requiring minimum assembly. The Yak 54 is a great plane very well made and very enjoyable. 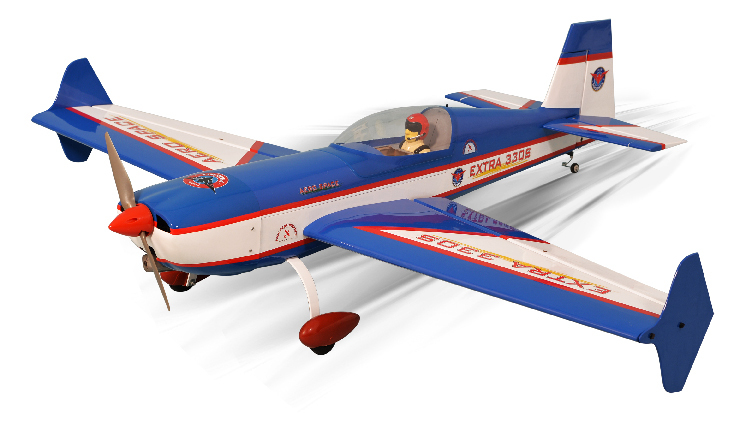 The Edge 540 is the most common aircraft used in the Red Bull Air race World Series , in fact all champions of the World Series have flown this aircraft. Phoenix’s Edge 540 is naturally slower but is engineered to perform equally thrilling maneuvers! 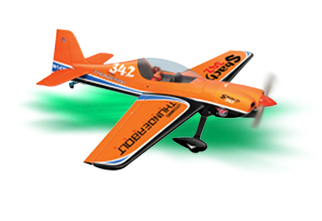 scale-like model able to perform flat spin, knife edge and many other difficult aerobatics. 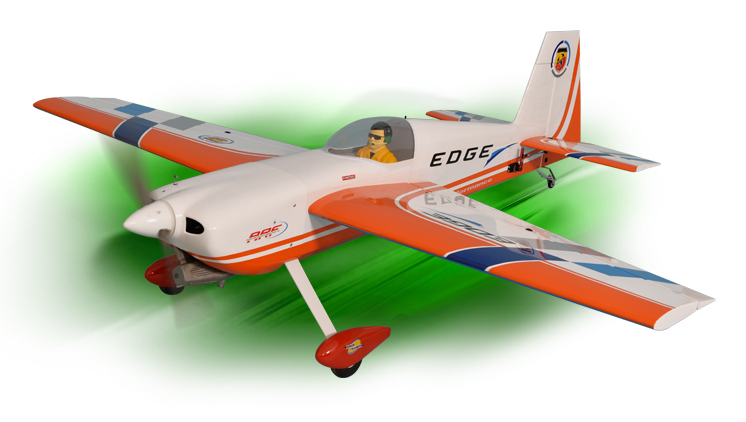 The Edge 540 is expertly handcrafted from balsa and plywood using only epoxy and CA glues. You can fly this plane after few hours of installation. All the hardware are included (servo wire, fuel tank, wheel/landing gear, etc). You only need to separately purchase the nitro engine and radio system. 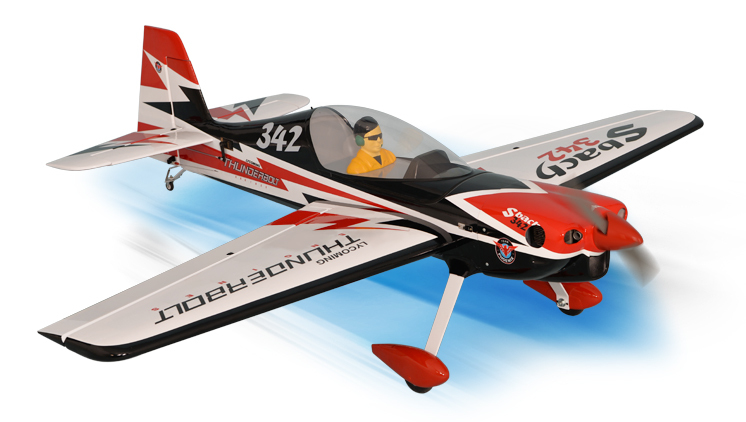 Phoenix’s Sbach 342 is naturally slower but is engineered to perform equally thrilling maneuvers! 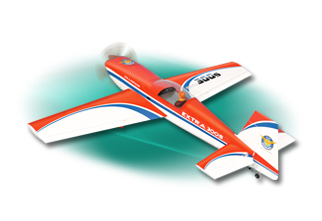 scale-like model able to perform flat spin, knife edge and many other difficult aerobatics. The Sbach is expertly handcrafted from balsa and plywood using only epoxy and CA glues. You can fly this plane after few hours of installation. All the hardware are included (servo wire, fuel tank, wheel/landing gear, etc). You only need to separately purchase the nitro engine and radio system. The new Yak54 is enhanced with design and structural upgrades that boast a fresh, progressive look and make them extreme aerobatic performers to be reckoned with. This plane allows pilots to achieve unlimited potential for sport and 3D flight - harriers, blenders, knife-edge, torque rolls and more. 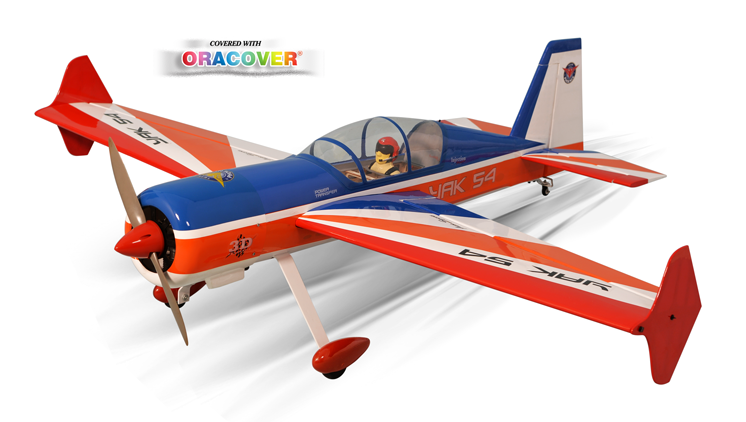 The Yak54 offers lightweight balsa and light plywood construction dressed in genuine ORA COVER for a vibrant look. Also in the kit is a complete hardware package, an instruction manual, stick-on decals. Hardware items include aluminum landing gear, wheels, engine mount, fuel tank, control horns, clevises, and control rods. 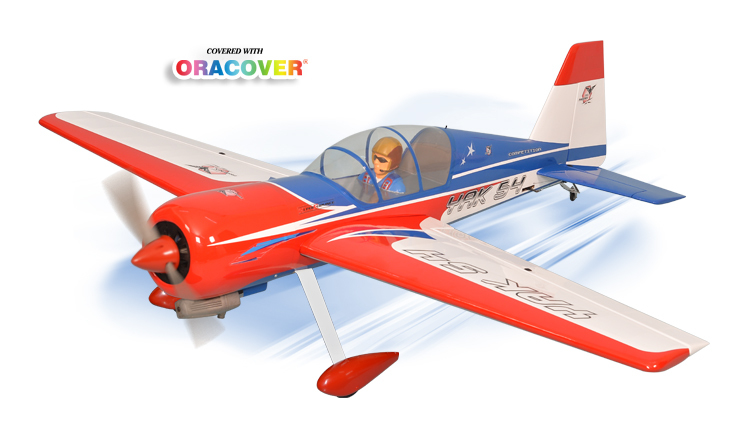 This Yak54 is the best choice for you.